I love flipping through kids board books, often to check out the different styles that illustrators use to bring a story to life. Sometime back, I came across the work of Anna Zatorska, an artist based in Warsaw, Poland. While she is not a book illustrator, I totally love her illustrative style. 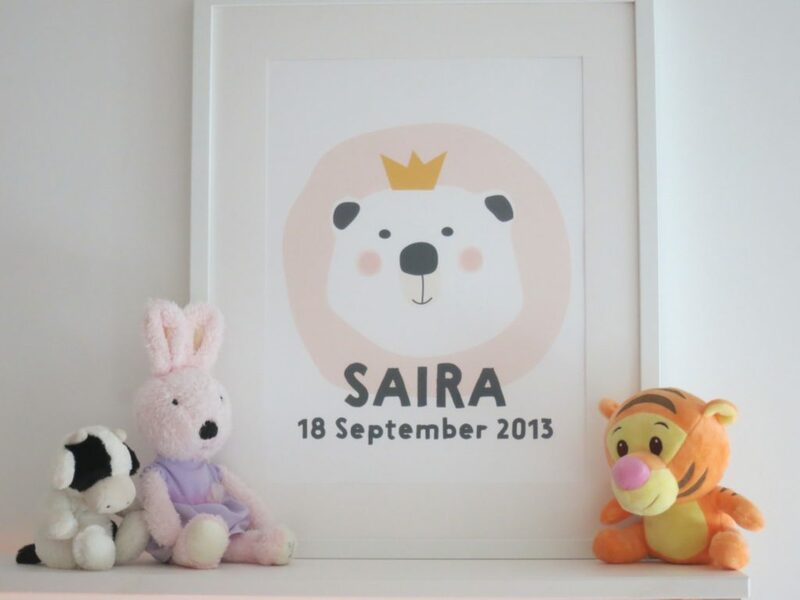 Her playful kid-friendly wall prints tend to bring a smile, each time you browse through them. Her company, ADAandIWO is named after her two children Iwo and Ada. I even love her logo: they are the two sweet faces of her little ones. Her prints revolve around themes like farm animals and forest animals: imagery that kids totally love. I love how she makes even the scariest animals look so cute! So if you’re singing the good ol’ Old Mac Donald with your little one, her farm décor prints will make lovely visual accompaniments. Anna has a background in art. 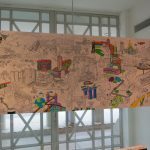 She completed her PhD in Art at the Academy of Fine Arts in Warsaw in Poland, and has worked at the Academy of Fine Arts as a lecturer for over 15 years. Though, she happily agrees that her kids are her biggest critics, and anything vetoed by them never goes beyond the drawing board. Anna was kind enough to make a personalized print for my daughter’s room. I was so excited when I received it in the mail. Besides the heart melting design, the printing quality is immaculate. She recently opened her own printing house as well, where she works with certified American water-based latex inks, that are safe for children. She also sent me a beautiful map, which is a best seller in her store. She prints them in English, German and Polish. This is a really fun way for kids to learn about the world and the origin countries of different animals. I love this print, and can’t wait to frame it and put it up in Saira’s room! Anna says, “I work in an ecological spirit of slow life and I do everything myself, from design, print to shipping.” Some food for thought! 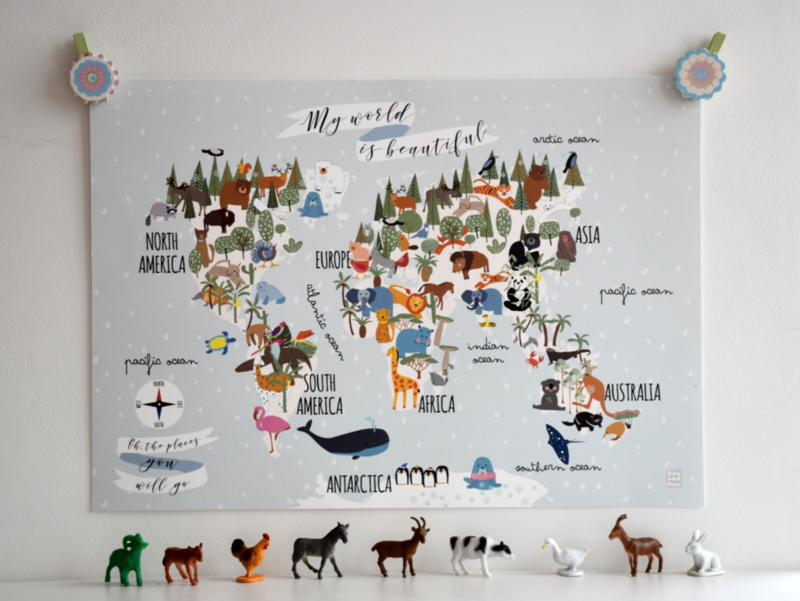 We are giving away one “World Map” to a My Red Palette reader. Please like this post to participate! !